The list of pets coming in Legion is ever-growing; four new pets were recently added! Benax, a new frog pet. Where it will come from is not currently listed, however it will likely be a drop from Suramar rarespawn, Anax. The Nightmare Lasher (pictured above left) comes from a lootable treasure. The treasure's location is currently unspecified. Joining the lasher is the Nightmare Treant (pictured above right). However, unlike the former this corrupted little tree is a reward from an achievement. More details below. What goes best with an Enchanted Pen? A magical book, of course! The Court Scribe, a reputation vendor pet, will be the perfect partner for the pen. In addition to these new pets, a handful of other pets have been updated. Including the Court Scribe, a total of six pets will come from Broken Isle reputation vendors. Baby Elderhorn (pictured right) from Highmountain Tribe, Fledgling Warden Owl from The Wardens, and Sunborne Val'kyr from Valarjar, to name a few. Before purchasing these pets, players must first earn Revered with each associated faction. 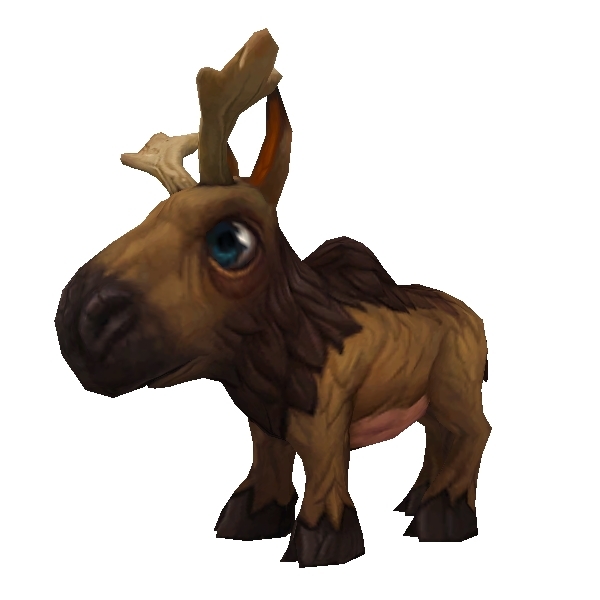 For a full list of updated pets, check out our list of all datamined pets from Alpha. There are currently 90 new pets coming in Legion, but there could be more! If you're looking for a Pet Battle challenge, look no further than Legion — there are 11 new battling achievements. These achievements will test your ability to outwit and outplay 12 Broken Isle Master Tamers using a team comprised only of pets from the same family. There are 10 achievements in total, one for each pet family, plus one meta-achievement that rewards the Nightmare Treant. Are you ready to take on this unique task? (Pet) Battles await on the Broken Isles! 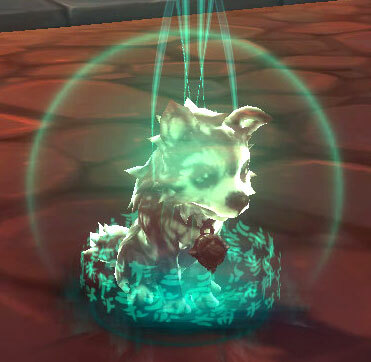 We recently discovered that the Magic Pet Mirror will be receiving a quality of life update in Legion. Currently, performing player actions such as casting a spell or summoning a different pet will remove the Magic Pet Mirror costume. This makes it difficult to fully enjoy the toy. Fortunately the toy will be getting an update in Legion, allowing the Magic Pet Mirror costume to persist through most player actions. These include but are not limited to the following. Mounting will cause the costume to temporarily disappear, however the buff is retained and the costume will reappear after dismounting. The Magic Pet Mirror costume will still be lost upon entering combat. With the ability to combine pet appearances and player spells, there will be some especially entertaining combinations. Just to name a few: Wearing the Magic Pet Mirror costume while using the Demon Hunter ability Glide (pictured above), a Mage's Mirror Image, and a Monk's Zen Pilgrimage (pictured right). LOVE the meta-achieve. That's the kind of content we need more of. The charms you have now wouldn't be a waste... you can still use them to rarify and level the new pets in Legion. Definitely looking forward to that meta-achievement. Might be the most fun in PvE in a while! @Noel: As far as we can tell, Pet Charms will be used as the currency in Legion. Keep in mind that this could still change at any point during testing. Great news, but has there been any more information on the pet currency in Legion? Are the charms I have now a waste?